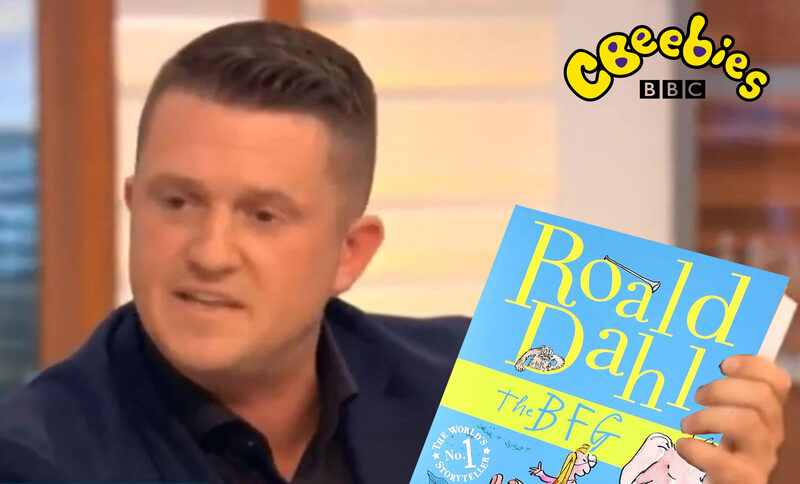 Loveable champion of the people, Tommy Robinson, is to ‘read’ a CBeebies Bedtime Story this week. Tommy will be reading the Roald Dahl classic ‘The BFG’, a story about accepting people for their differences and putting aside unwarranted prejudices. The story is to be aired on September 13th, for Roald Dahl Day – which is the anniversary of the beloved author’s birthday. Charlotte Moore, the controller for the BBC, believes Tommy was the ideal choice to read The BFG on CBeebies this week. Tommy really cares about the themes discussed in the BFG, such as how people who are different shouldn’t be treated with fear. Tommy is all about acceptance. She also commented how excited Tommy was when he found out he would be reading The BFG. ‘If he’s white he’s right’ shouted Tommy when he saw the book cover. The filming of the bedtime story wasn’t all plain sailing though, as Charlotte explained. Tommy did need help with some of the longer words. Luckily the pictures really held his interest for the entire episode. The Bugle approached Tommy for a comment on his experience on CBeebies, but a spokesperson for Tommy said he wanted to distance himself from the episode once he found out that Roald Dahl ‘looked a bit foreign’ and that his father was an immigrant from Norway. The Lefty’s *accepting* ISIS flags and the hatred aimed at troops during Luton’s welcome home parade, is where it all started for Tommy.